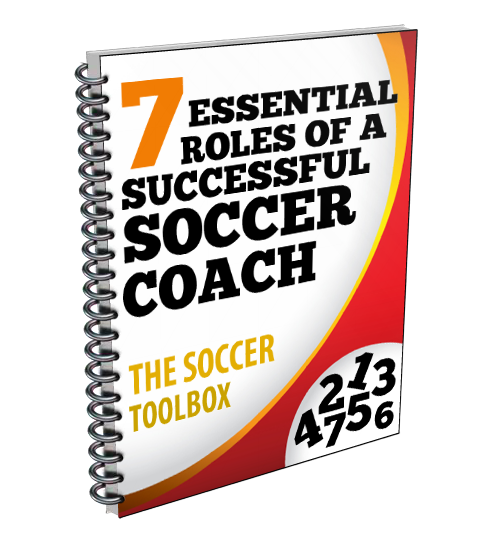 Are you a leader who has reached a point in your coaching career where you no longer measure success in wins and losses, and in trophies and medals? If so, you are a coach of positive significance. Coaches of positive significance realize that when you invest in people off the field, success on the field usually follows. When you are in the coaching profession, one of the things you learn early on is not to take things too personally. Your biggest fans when you win may become your biggest critics when you lose. Your players may love you one moment, and grumble the next, and it is important to maintain perspective and see the big picture even when they cannot. If you are doing your job, your players and fans will not always appreciate the moment, but they will appreciate your great coaching years from now. Recently I have read numerous articles about longtime coaches resigning due to parent complaints over things like playing time, selection for varsity or JV, and the like. I have read about states passing legislation to protect coaches from parent complaints. Then I read this article about a former high school basketball player who was suing his former coach and athletic director because he didn’t get enough playing time. This is insane. This I took personally. Really, I thought. Do you have any ideas how many hours a week a good coach spends planning practice, and then analyzing how it went afterwards so it can be better next time? Do you know how many hours a great coach often agonizes before and after a game, second guessing decisions he or she made so that next time it gets better? Do you know how many hours a coach spends talking to players, not about only sport but about life? Do you realize how many hours are spent dealing with a parents’ divorce, a broken heart or problems with drugs or alcohol? Do you know how many hours a coach spends with other team parents, helping them reach their teenager when he is going through a difficult time? Do you know how much time goes into helping an athlete find the right university or path after high school? Do you know how many hours a coach spends with your kids, instead of his or her own? Here is something most people who have never been in the coaching profession don’t know: the hours spent by a great coach on the field or court developing athletes are usually dwarfed by the hours spent off the court developing people. This happens behind the scenes and out of the public eye. I call these great people “coaches of positive significance.” These are leaders who have reached a point in their coaching careers where they no longer measure success in wins and losses, and in trophies and medals. These coaches develop better people and better players. They measure success not in championships, but by the number of significant life events they are invited to by their players. When an athlete invites a coach to a wedding, or graduation, or other such event, the athlete is doing that not because he or she won some championship. The y invite a coach who has profoundly changed them for the better as a person. And here is the secret sauce. These coaches of positive significance realize that when you invest in people off the field, success on the field usually follows. Sadly, in our current era of entitlement, and parents who think they are helping their kids by mowing down all obstacles (we call them lawnmower parents) in their child’s march toward Ivy League schooling and college athletics, our coaches of positive significance are becoming an endangered species. These amazing people who are willing to push your child, to take him or her out of their comfort zone, to say “good, now do more,” are being threatened by a minority of parents who are willing to yell loudly and make a big stink every time their precious little child faces some adversity. These coaches are no longer able to push athletes to be better people and better competitors like they used to. They no longer can cut a kid without fear of repercussions. They no longer can hold an athlete accountable for their poor decisions without worrying about a mom or dad undermining their authority. They know that in many situations if they cut an undeserving player and say “now go home, work hard, get better and prove me wrong next year” they will spend their season in meetings with school board members explaining themselves and being second guessed. When you reflect on Coach Brown’s words, calling yourself coach can become quite a scary thing. A coach can be one of the most influential people in a child’s life, either positively or negatively. There are millions of coaches who take the field each and every year, yet only a tiny percentage make a living wage from it. The vast majority are volunteers or get a small stipend. They don’t coach for money. They coach because their child is playing. They coach because no one else volunteered to step up and coach. They coach because they love kids, and love a game. They coach because in their childhood a person called Coach made them a better athlete, and a better person. They coach because it is a way to give back to their community. And yet at the drop of a hat, these people can be embroiled in a lawsuit, or confronted by a gun wielding parent, and be judged by the same standards as we judge our highly paid college and professional coaches that we see on TV. I speak to friends in the college coaching profession, who tell me how their athletic directors – who years ago all used to be former coaches – are now often former corporate CEO’s who are no longer focused upon the athletes as people, but as tools to raise revenue and win trophies and recognition. They are now under the orders of a boss whom believes you run a company by firing a certain percentage of your employees every year, and as soon as a person under you makes a mistake, you cut them loose. They are told to get rid of problem athletes instead of mentoring them. They are given one-year contracts and judged on a season of wins and losses, instead of a lifetime of developing people. But this is not the type of conditions where coaches of positive significance thrive! Can you imagine being a college football coach? Can you imagine having 100 teenage sons? Do you think at least one of them might be making a bad decision each week? Do you think its right to cut a kid loose for every bad decision, especially when you have sat in that athlete’s living room, and promised his parents or guardians that you will look after him when he is away from home, and care for him like they care for their son? Isn’t our job not only to mentor a kid when he is scoring touchdowns, but when he is failing a class or making a poor decision? Aren’t coaches supposed to provide him not just with coaching for sport, but coaching for life? Coaches of positive significance do just that. They teach skills that serve people for decades, not just for a few years when they are athletes. They make tough decisions and teach tough lessons, and have the patience to know that the athletes might not appreciate it now, but will someday. If your child has a great coach in his or her life, you should be grateful that he or she is willing to give up the time and energy to help your child grow, regardless of whether they get paid for it. You should realize that the time and energy the coach is investing in your child is multiplied by 10, or 20, or however many kids are coached by that person. Parents, please understand that your child needs adversity in his or her life in order to grow. Your child needs a great coach, not an easy one, and will thank you later for it. When you think back on the most influential teachers, coaches or people in your life, were they the ones who let you coast, or let you give less than your best effort? No way, they were the ones who took you to a place you had never been before, and would never have gotten to on your own. That is what a coach of positive significance does. I have gotten a lot of questions about coaches who are bullies, and who create environments of intimidation and fear, and I will deal with that in a follow up article. Coaches who lead this way are an insult to the profession, and give great coaches a black eye. The coaches of the “Friday Night Tykes” genre call themselves professional coaches, but they are not professional in any sense of the word. I will deal with that situation in another article. This list is not meant to be all-inclusive, but I wanted to give some examples of things that good coaches do to make players better. They are also examples of things parents have complained to me about in my role as a coach and a Director of Coaching. They are the majority of complaints a high school athletic director deals with on a daily basis. The above examples are not bullying; they are good coaching! Improvement in any achievement activity does not come without struggle, without times of discomfort and difficulty. Good coaches know how to put athletes in these situations, yet create a climate where these things are well communicated and understood to be part of the learning process. No child has the right to start every game, or play every minute, or play the position she wants to play. This is not how you become a high-performer, and good coaches understand this. So parents, please, get over it and move on. Make it a teachable moment. Actually, on second thought, go up and thank that coach, he or she is doing your kid a favor! Coaches, the professionalization of youth sports has made our jobs very difficult. The pressure we are under to win has never been greater. Never before have the difficult choices we face between developing players and developing people been placed under more scrutiny. We are constantly second guessed by pseudo experts who are willing to invest the time and energy to remove us from their child’s path to stardom. Being a coach of positive significance has never been harder. But it has never been more important! The world has never needed you more than it does right now. Our kids have never needed you more than they do right now. A person called coach, who creates an environment of love and respect in order to teach children about sport and life, has never been more important than it is today. It can be very easy to put up a wall, to shut your door and say it’s my way or the highway, in order to keep out all the riff raff and just coach. But please don’t! Don’t let the vocal minority push you out of something you love. Keep teaching, keep mentoring, and keep modeling good behavior for your players. Those kids whose parents are the most troublesome are the ones who need you the most, because they are not getting it at home! Never stop learning and improving yourself. If you are a new coach, find a mentor! There is no more powerful way to improve your coaching than by connecting with a coach who has been there and done it before. This is a necessary part of your education, yet one that many coaches never get. Keep educating yourself. You do not know it all, you do not know enough. You can always improve. This is what we tell our players, and we need to take our own advice. On that note, I want to tell you about a unique coaching education opportunity. I have been interviewing master coaches and studying cultures of excellence in youth sports in preparation for writing my upcoming book (“Beyond Xs and Os: Developing a Positive Coaching Legacy” is the working title), and I want to share that information with you. I have been conducting coaching education classes throughout North America, and recently in Europe, discussing the common characteristics of these coaches and the environments they create. And in doing so, I have come to see a gaping hole in our support and education of coaches. I have asked thousands of coaches to complete this exercise, and what I have found is an eye opener to both me, and the coaches in attendance. 80%-90% of the characteristics that make a great coach, as stated by coaches themselves, have nothing to do with X’s and O’s. They have nothing to do with knowledge of the game. That is a minimal requirement that a coach needs to be great. The vast majority of sticky notes describing the characteristics that make a coach great are posted under ‘Emotional Intelligence and Connection.” And here is the problem. Most coaches I cross paths with think that collecting drills and immersing themselves in the X’s and O’s is the path to greatness. But the coaches I have been interviewing for my research into cultures of sustained excellence understand that knowledge is what all coaches need, but it does not separate the good from the great. These master coaches have learned that you get the most out of athletes and teams by valuing them and connecting with them as people first, and players second. They know that you coach a child, not a sport. They know that their knowledge of the game only takes them so far. They must teach so kids learn. They must communicate so kids listen, and listen so kids can will talk. They understand how to push each individuals buttons, to get the most out of every relationship, and thus every player. Their relationships with players is what leads to excellence, and the excellence is what leads to success in the win and loss column. These coaches are also lifelong learners. They never stop improving themselves, they never say “I know enough, now leave me alone.” They are always open to something new, something different, something that can help them connect and push their athletes at an even deeper level. I believe every coach can learn to be one of these coaches, but not through traditional coaching education. You need to take one step further, but it is a step that makes the biggest difference. You can start becoming one by studying these coaches and master teachers, learning about their cultures of excellence, and taking your coaching to whole new level by leaving the X’s and O’s alone for a bit. If this interests you, please join our email list and we will be sending you information on our upcoming Coaching Mastery Course. 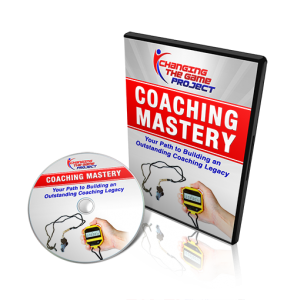 I want to teach you some of these secrets, and if you enjoy what you are learning, offer you an opportunity to go deeper, and really study what it takes to be a master coach. There is no other coaching course like this. We live in a world where our children need more positive roles models and mentors. They are not learning positive lessons through pop culture, or video games. They need sports and they need great coaches more than ever before. It is time to start appreciating our coaches of positive significance. If you have one in your life, call him or her up and say thank you! Invite them over for dinner, or write them a letter. It is never too late to thank a person who changed your life! Also, pass on this article to your team or club. Let parents know that we need to appreciate our great coaches so that they stick around. Stand up for them when others try to cut them down, instead of staying quiet and letting the lawnmower parents have their way. Don’t stand by and let others take away the positive role models in your child’s life! When they are gone, our coaches of positive significance will be missed! Don’t let them disappear without a good fight! Love them, appreciate them, support them! And if you are a coach, become one of them! Become a coach of positive significance. We need you now more than ever!